Dr. Willie T. Snead, Sr., B.S., Mace, M.Div., D.D., D. Lit., President Emeritus of the National Missionary Baptist Convention of America, went home to be with the Lord on Saturday, November 14, 2015 after a brief illness in Los Angeles, California. Dr. Snead was the founder and pastor of the Greater Temple of God Christian Fellowship for almost 50 years. 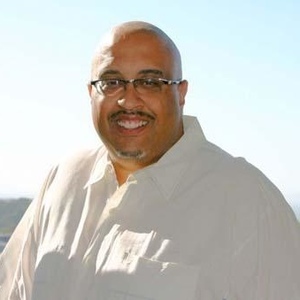 He was one of a handful of pastors in the history of California that held three leadership positions in three levels – Moderator of the Pacific Missionary Baptist District Association, President of the California Missionary Baptist State Convention and National President. For years he hosted a Radio Broadcast in the Los Angeles area and preached throughout the United States. He established the church in July 1967. His church growth program and radio broadcast “Faith To Live By” added many souls to the Lord, and touched thousands of lives throughout Los Angeles and nearby communities. He held a bachelor of science degree in business administration from California Baptist University in Riverside, California; a master of divinity degree and master of arts degree in Christian Education from Golden Gate Theological Seminary – Mill Valley, California. Recipient of Doctorate Degree, Reed Christian College – Western Theological Seminary in Los Angeles, California. Recipient of Doctor of Letters in Religion, St. Stephens Educational Bible College – Los Angeles, California. Recipient of Doctor of Humane Letters, Liberty Baptist College – Muskogee, Oklahoma. Dr. Snead accepted Christ at the age of nine. You can find his name in the Who’s Who Among Students in American Universities and Colleges for 1989-90. He also holds such titles as Pastor of the Year, Moderator of the Year, Religious Broadcast of the Year (two consecutive years) from the ACC News Pauline Awards. Numerous commendations from government officials, to name a few Governor of California, California State Congress, California State Assembly, City of Los Angeles Councilmen, County of Los Angeles Supervisors. Dr. Snead is a lifetime member of the NAACP Los Angeles (Watts) Chapter. former Board Member of Congress of National Black Churches (CNBC). former Vice Chairman Board of Directors – Southern California Affiliate of CNBC. COPS – Los Angeles Sheriff’s Department; Police Booster Club; former Ambassador for The Union Rescue Mission. Former Co-Chairman for the California Committee for Environmental Justice (went on Environmental Justice fact finding mission to Louisiana with Vice President Al Gore’s team). Services begin at 7:00 p.m. and are under the direction of the Pacific Missionary Baptist District Association, Dr. Rodney Howard, Moderator and the California Missionary Baptist State Convention, Dr. E. Wayne Gaddis, President. The NATIONAL HOMEGOING SERVICE for Dr. W.T. Snead, Sr. will begin at 10:00 a.m. His son, Rev. W. Terrell Snead, II, pastor of the Worship Center Community Church, will deliver the eulogy. A special Hotel Room block has been created. If anyone wants a standard room it will be $99.00at the Sheraton Gateway Hotel, 6101 West Century Boulevard, Los Angeles, CA 90045. Telephone: (310) 642-1111. Deadline to make reservations for this special rate is Wednesday, November 18, 2015. Please watch this page, any updated information will be posted here. In the history of African-American baptists this is the closest thing to a Super Bowl – the changing of the guard in all four major conventions within a short period of time. This year, there are contested elections in the National Baptist Convention, USA, Inc. and the National Baptist Convention of America, Inc. International. 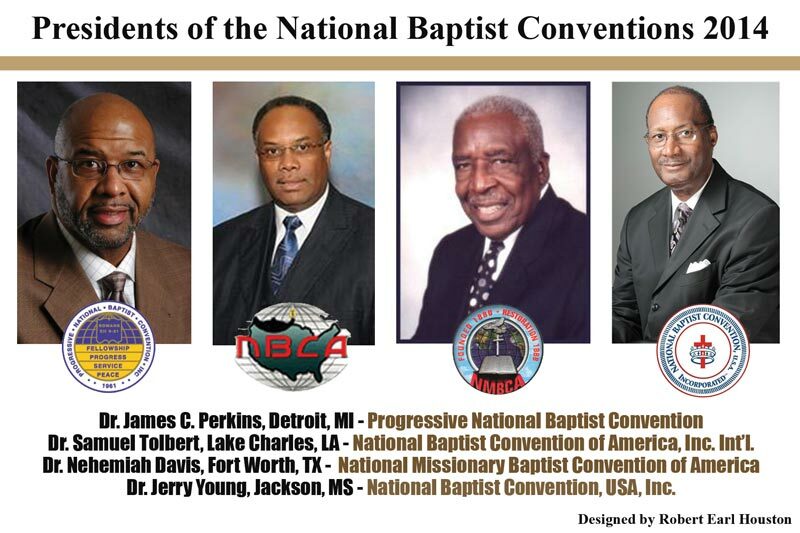 Progressive National Baptist Convention, Inc. will be electing a new chieftain, apparently without any opposition. And the National Missionary Baptist Convention of America will soon begin their process of elections within the next few months. I should be giddy; I should be interested and involved; I should be watching with great interest. So, why aren’t I excited? I’ve come to the conclusion that the paradigm of our National Conventions are in great need of prayerful examination. Little has changed since the historic NBC/NBCA split of 1915. Basically the same structures are in place: There are women missionary unions (which are dying all over the country in favor of “women ministries” or localized names for ministries for the women); Most churches have some type of men’s work, but on a national level, it’s dying. Oddly, the largest auxiliaries in most of our churches, music ministry, are largely ignored in most of the conventions. In most of the conventions, the Presidency is held by, what I believe, are godly men who love the Lord. However, they are shepherding conventions that are not stuck because of the infusion of new leadership, they are stuck because the constituency is just not there. Let’s look at it. In order to be a participating member, the average convention will ask for at least $1,000 of annual representation. However, to get to the convention, with airfare ridiculously high and hotels that are making major profits for a room that, if you go to the convention to be active as a delegate you won’t spend more than 8 hours in the room. If the room is $200 per night, that means you are paying $25 per hour to stay in that said room (8 hours) – or consider it like this – you are paying the hotelier $8.50 per hour NOT to stay in your room. Airfares are ridiculously high. All of the national conventions are losing members in the Western United States because of the $500-$800 round trip airfare to fly from Los Angeles, San Diego, Seattle, Portland, Oakland, Sacramento, Fresno, Bakersfield, Orange County, etc. to go to the Midwest and Southern United States where most of our national meetings are held. Many pastors struggle with asking a congregation to send them to the convention under these uncertain financial times. In this age of technology, is there really a need for a “Board Meeting?” In these times, is it really necessary to conduct business like we’re stuck in 1915. Why do we need a board of over 50 people to decide the work of a convention? Why is it that when you come to a convention you’ll hear either preachers who are not affiliated with your convention (which means there is a loss of support) or it’s the same one or two preachers who preach every year? a. Conferences are killing the conventions. 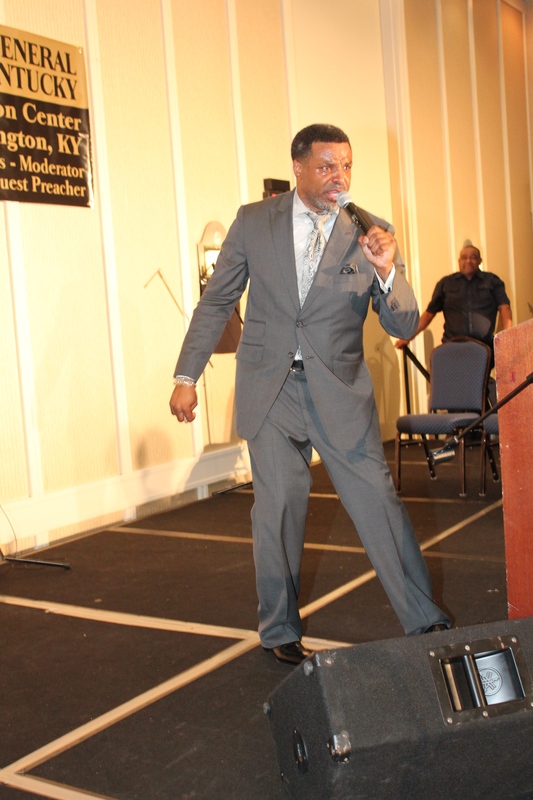 Whether it’s a preaching conference or a family conference (i.e., MegaFest) – they are now being populated by the same folk that used to go to National Baptist Conventions. 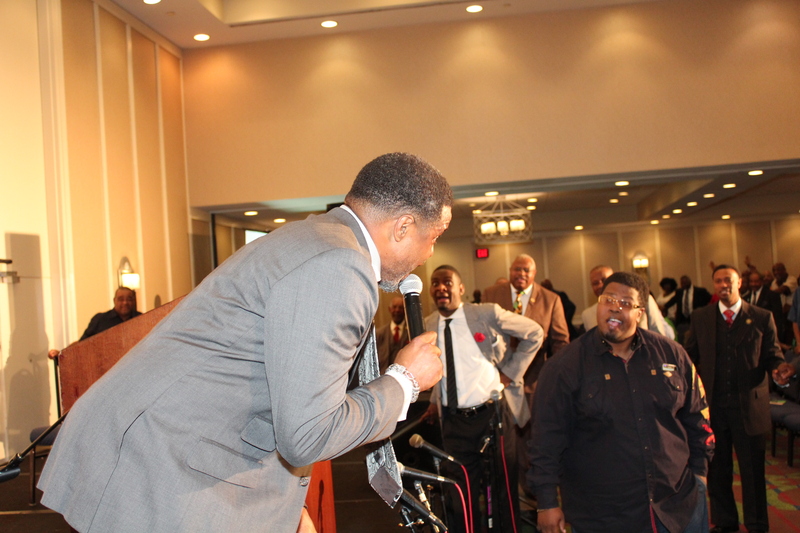 I went to the Pastors’ Conference sponsored by Bishop T.D. Jakes, and I ran into so many PNBC, NMBCA, NBCA, and NBCUSA pastors, that I’ve served with for years. 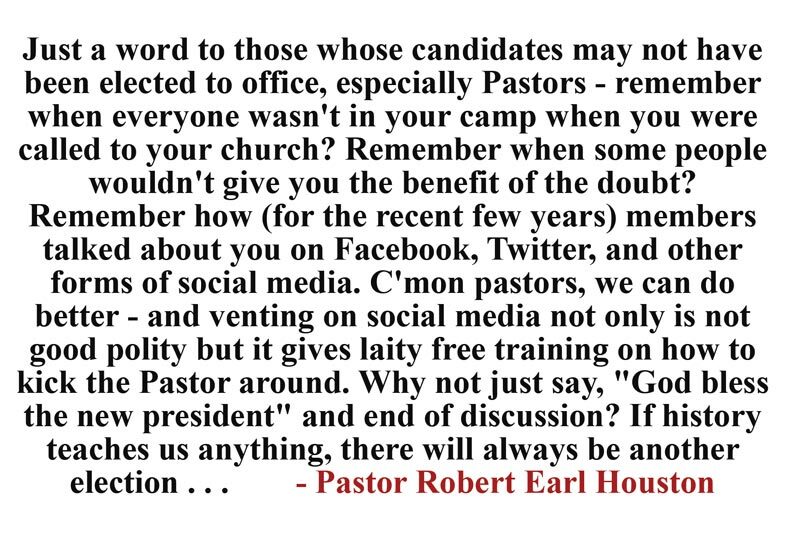 The same is to be said of the preaching conferences that EQUIP pastors to do their most vital task – preach the word. b. Conventions are no longer THE PLACE to hear great, challenging preaching. Before the advent of YouTube, you HAD TO go to the Conventions to hear the best in black preaching. Very few ministers were on or could afford national TV exposure in that day – so if you wanted to hear Caeser A.W. Clark, E.K. Bailey, E. Edward Jones, Stephen Thurston, Melvin Wade, P.S. Wilkerson, John H. Jackson, Gardner Taylor, and others – you had to go to the Conventions. But now, I can hear Freddie Haynes in the privacy of my church office. I can hear Paul Sylvester Morton while I’m flying on an airplane. I can hear Charles Booth via CD or DVD. Our greatest preachers are not being heard when you come to the Convention. Why is that??? c. Conventions are burning out those who support it. I’ve been in conventions since my pastor, the late Dr. A. Bernard Devers, MADE ME go to the Convention and I went to NBCA meetings in Denver and San Francisco. I’ve had the privilege of working on the staff of several national presidents and conventions. Even on a conference or two. But you begin to notice something: the workers aren’t coming back. When I grew up in NBCA, the Secretaries served for 20, 30, 40 years. The staff rarely, if ever, changed. Younger pastors manned the Secretary tables or were brought along and mentored in areas of the convention that interested them. But now, there is such a change because new presidents supply new staffers – and the old staffers stay home. d. This is going to be painful – but we don’t need all of these Conventions and Congresses. We really don’t. We have, as of this writing, four major Black African-American Baptist Conventions, not counting those who are in Full Gospel Baptist Church Fellowship, the Global United Fellowship, Free Will Baptists, etc. We are stretched way too thin. By the time you have a District Association and Congress/Institute, a State Convention and Congress/Institute, a Regional Convention and Congress/Institute, a National Convention and Congress/Institute – you have financially tapped out your resources by giving to EIGHT DIFFERENT GROUPS. Most churches are cutting back or eliminating their participation not because they don’t recognize the historical significance of the convention, but literally the toll financially is too high. e. The Presidential elections are depressing instead of exciting. I was from an era when Presidents rarely changed. It provided stability. However, there is, in my opinion, a spirit of rebellion that has permeated our elections. If Candidate A wins, Candidate B and all of his people stop supporting. It’s like winning a boxing match, but you lose some of your teeth and your eye. You can still function, but not look you could have. The personal attacks on leaders is so out of bounds. Run for the office, not trying to kill the person in office with slander and innuendo. This era of suggestion, innuendo . . . The Tea Party could be given a run for it’s money by how we conduct elections. Someone once said it takes about $100,000.00 to run for President of a convention. I don’t mind an election, as long as we remember that we’re brothers and sisters from the same cloth. 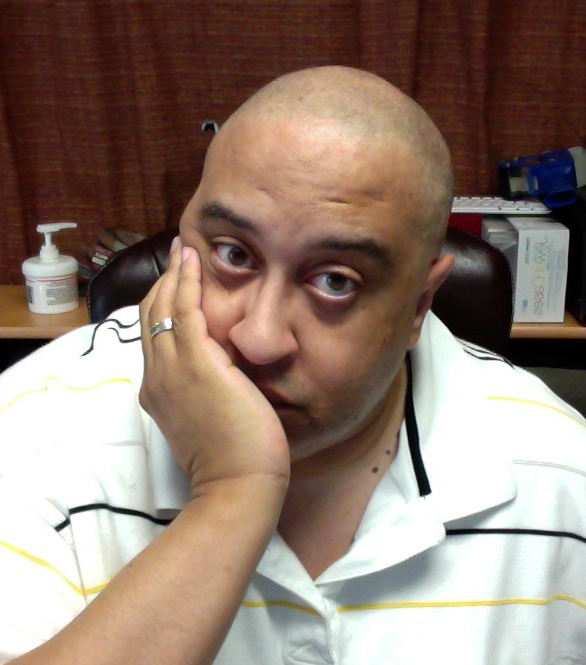 So what can be done to engender my enthusiasm or the enthusiasm of those like me? I’m not sure. But in economic times like these, some consolidation should be on the table. The world will not end if a Board Meeting were cancelled. The world would not end if two conventions could reunite (my personal plea for this would be the National Baptist Convention of America and National Missionary Baptist Convention). The world will not end if we pooled our resources for a named objective (i.e., Resurrection of Bishop College). The world will not end if we could look at the dias and see Vice Presidents or Presidents under 60 years old or General Secretaries in their 30s and 40s. The world will not end if we took advantage of the rapidly changing technologies and instead of going to the convention, let the convention come to you. The world will not end if all of the conventions gave directly to Lott Carey and let that group manage our monies for missions. The world will not end if a Board of Directors were only 7 people strong instead of 100 people weak. The world will not end if the Pastor’s Conference went from preaching at me to teaching me techniques of how to preach when I get home. The world not end if we stop the parade of vendors who tell trinkets and bring in vendors who sell resources. The world will not end if the Conventions went regionals and held group meetings every 2 or 4 years nationally. The world will not end if the Convention elected a Chief Operating Officer or some one well versed in Administration to run the conventions between meetings. The world will not end if a Convention made a bold move and held its annual session or board meeting on a cruise ship . The world would not end if it was completely electronic and we dispensed with the lanyards in favor of wrist bands. The world will not end if the President doesn’t speak every year. The world will not end if the Convention reached out to the West Coast and the Northeast Coast, instead of ignoring them. The world will not end if the Convention hired several psychologists and counselors and created a “safe space” for pastors and/or their wives to go for some type of private counseling. Oh well, I could dream . . . It is customary at the Progressive National Baptist Convention, Inc. that when the Nominating Committee comes forth, they always present the prognosis of elections. “Next year, 55% of our elected officers will change.” It helps the convention to prepare for the turnover. I’ve come to say that within the next year, it is possible that all four of our traditional national baptist conventions AND the Full Gospel Baptist Church Fellowship will change leadership. Dr. Julius Scruggs of Alabama was elected President in 2009 and several ministers have declared or exploring runs to challenge him in 2013, if he decides to seek re-election. The election will be held at their annual session in New Orleans in 2014. The NMBCA has actually been operating without a President since the death of Dr. C.C. Robertson of Dallas. In a controversial move, the Executive Board decided to postpone the election until the annual session next month in San Antonio. The current Vice President, Dr. Nehemiah Davis, is acting president and is being challenged for the post by Rev. Dale Jay Sanders, Sr. and Dr. Samuel H. Smith, Sr. of Louisiana and Texas, respectively. Dr. Carroll A. Baltimore, Sr. is the current, tenured President and will complete his two terms in 2014. 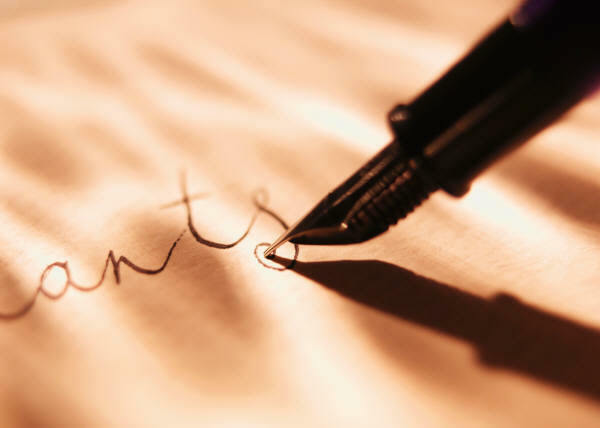 As of this writing, the only declared candidate is Dr. James C. Perkins of Detroit. At least four men are running for the office of 2nd Vice President including a layman. Their election will be in Fort Lauderdale, FL. Dr. Stephen John Thurston of Chicago, IL has served since 2003 and will lead the convention into Memphis for the 2014 annual session. At present there is at least several declared candidates: Dr. Samuel Tolbert of Louisiana, which means that for the first time in NBCA history, a President will seek re-election against a Vice President; and Dr. George Brooks of Nashville, who has served as Congress President. Bishop Paul S. Morton, Sr., who is now the leader with more tenure than all four of the traditional convention presidents combined, has lead FGBCF since 1994, meaning that he has 19 years of leadership. 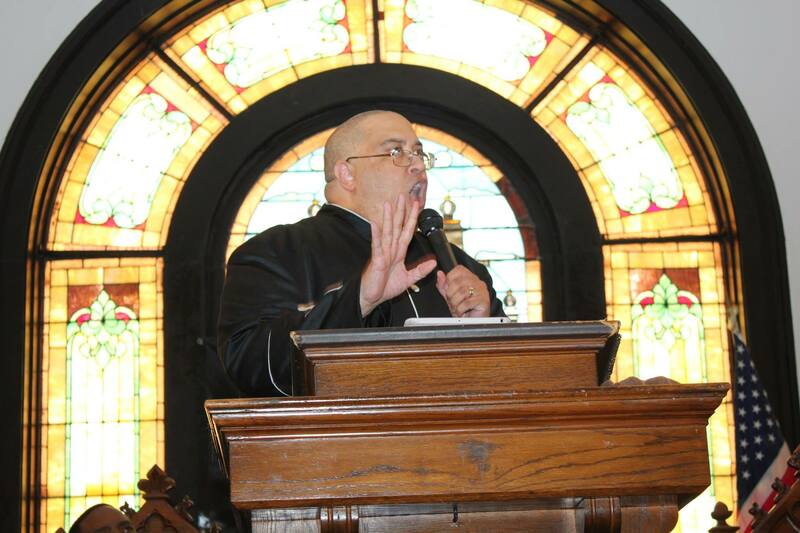 He recently announced the name of his successor – Bishop Joseph Warren Walker of Nashville, who will begin his tenure in 2015. It will be interesting watching developments of this passing of the torches.